One of the stops along the way for the Rodfather tour was the Price Museum. 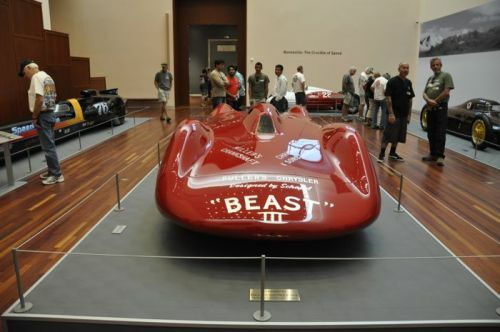 The Price Museum of Speed features a rare display of the greatest representations of early racing history. Many of these rare vintage race cars either won or placed well in numerous renowned events such as the Grand Prix, Le Mans, Morris Park, Briarcliff Cup, Daytona Beach, Gordon Bennett Cup, Empire Track at Yonkers, Sheepshead Bay, Indianapolis, Mille Miglia among others. Also in the collection are other marquee automobiles representing different periods of history.